The Coolest Baby Contests and Giveaways. Submit Your Baby Nursery Photos and Baby Gear Reviews and Stand a Chance To Win Great Prizes! Check this page for news of our latest contests and giveaways. 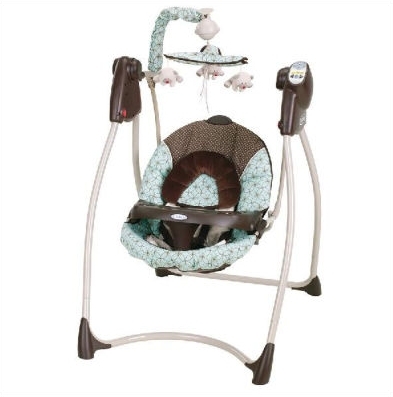 You can also view nursery designs and baby gear reviews of past winners and other nursery pictures and reviews entered. Please subscribe to my baby nursery blog to be the first to know when a new contest or giveaway is announced. Of course, it will also be announced on this page so you may want to bookmark it! Current Baby Contests and Giveaways!! Contribute to our Baby Nursery Site! We have several sections of the site open to contribution from our readers. Send us a contribution in any category and we will send you the download link for our baby nursery safety checklist, How to Protect Your Baby in the Nursery. Contribute to one of these sections of our baby nursery site to join the more than 200 moms who have already contributed to making this site bigger and better for moms-to-be. You can view the entries for our eighth nursery room ideas contest here. This contest ended 31st December, 2015. Congratulations to our winner! 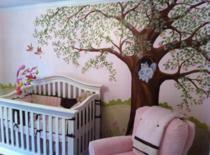 The winner of this nursery photos contest won a $100 gift certificate from Amazon.com!. 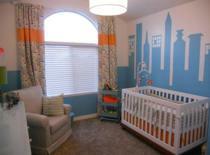 You can view the entries for our seventh nursery room ideas contest here. This contest ended 31st December, 2014. Congratulations to our winner! 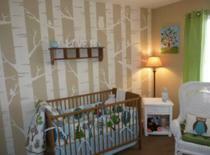 You can view the entries for our sixth nursery room ideas contest here. This contest ended 31st December, 2013. Congratulations to our winner! You can view the entries for our fifth nursery room ideas contest here. This contest ended 31st December, 2012. We received 55 entries - congratulations to our winner! You can view the entries for our fourth pictures of baby nurseries contest here. This contest ended 31st December, 2011. We received 82 entries - congratulations to our winner! 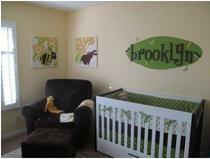 The winner of this nursery photos contest won prizes from GreenPeaBabystore.com and Kryshascreations.com. You can view the third baby nursery pictures contest entries here. This contest ended 31st December, 2010. We received 69 entries - congratulations to our winner! 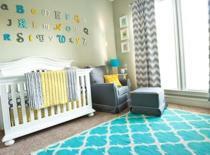 The winner of this nursery photos contest won $100 from thelandofnod.com. 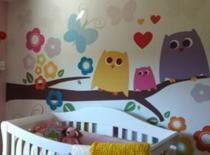 You can view the second pictures of baby rooms contest winners and entries here. This contest ended 31st December, 2009. We received 40 entries - congratulations to our winner! The winner of this nursery photos contest won prizes from Destination Ltd, Classy Cradle, Inspiremecrafts.com, Bazzlebaby.com and Lilibebe.com. You can view the first baby nursery pictures contest winners and entries here. This contest ended 31st January, 2009. We received 36 entries - congratulations to our winner! Jennifer from Texas won a $25 gift certificate from Amazon.com for her review of the Baby Jogger City Mini Stroller Congratulations! Celeste from Washington won a $25 gift certificate from Amazon.com for her review of My Brest Friend Feeding Pillow. Congratulations!